Pattonville concluded a successful elementary volleyball league with a district-wide tournament on Dec. 5. Nearly 70 students in third through fifth grades from each Pattonville elementary school and Remington Traditional School met at Pattonville Heights Middle School for the single-elimination tournament. Remington earned the tournament championship for the second year in a row. 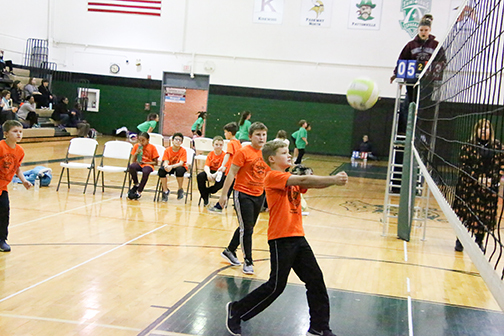 The elementary co-ed instructional volleyball league was organized by the Pattonville community education department. Community education and Pattonville's schools offer a variety of programs designed to get students involved in extracurricular activities and open doors of opportunities as students progress through their K-12 education and after they graduate. Pattonville's data mirrors national trends, which shows that students who participate in extracurricular activities and feel connected to school tend to do better academically and have fewer discipline issues and better attendance. 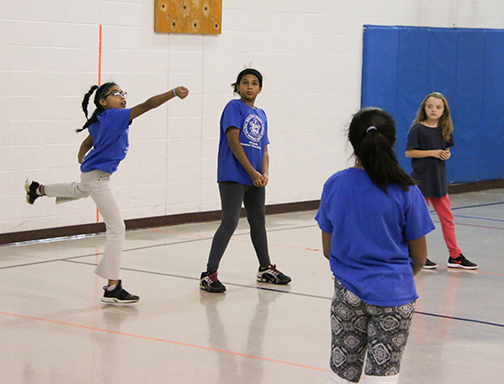 The volleyball league ran for four weeks after school in November and offered students a chance to work out, develop volleyball skills and compete against other Pattonville schools. Visit the community education website to find more programs for students. Shown below are images from the Dec. 5 volleyball tournament.